Hi there Im here again after 18 days of abstinence, september was an empty month in terms of figures. 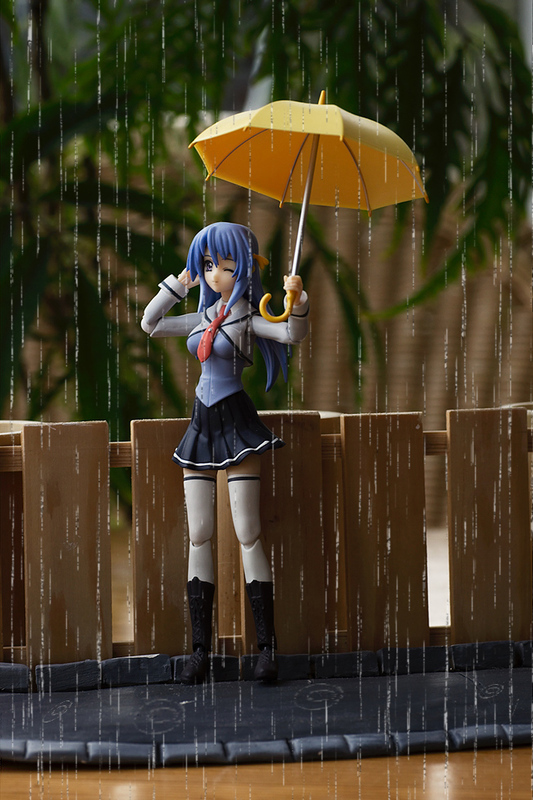 Today I will present you one of my rare figma reviews. 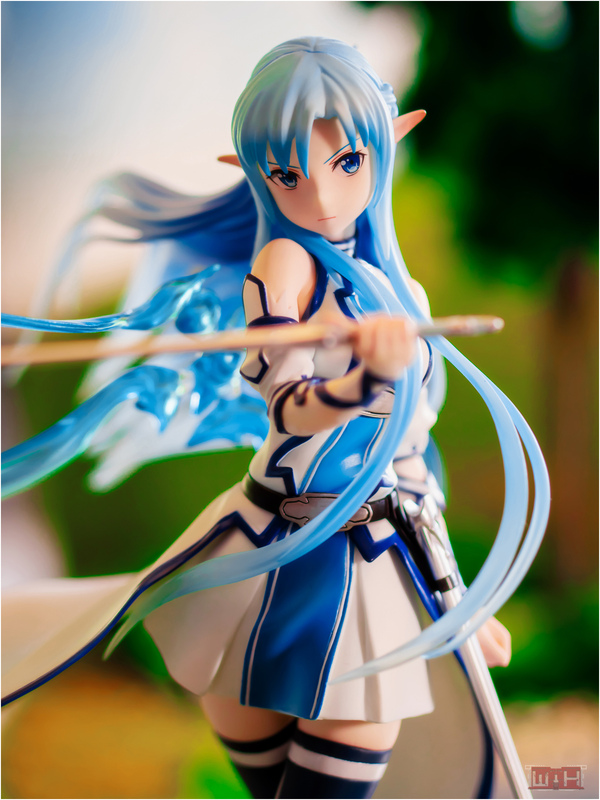 It’s old news that Im no big figma collector, but when I really like a certain figma, I won’t hesitate to buy it. 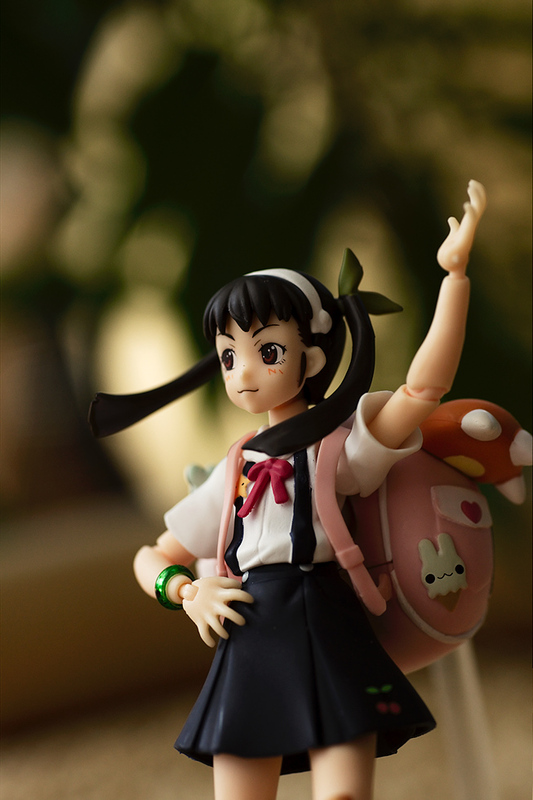 So here we have figma number 105, Hachikuji Mayoi from the ultra cool Bakemonogatari universe. 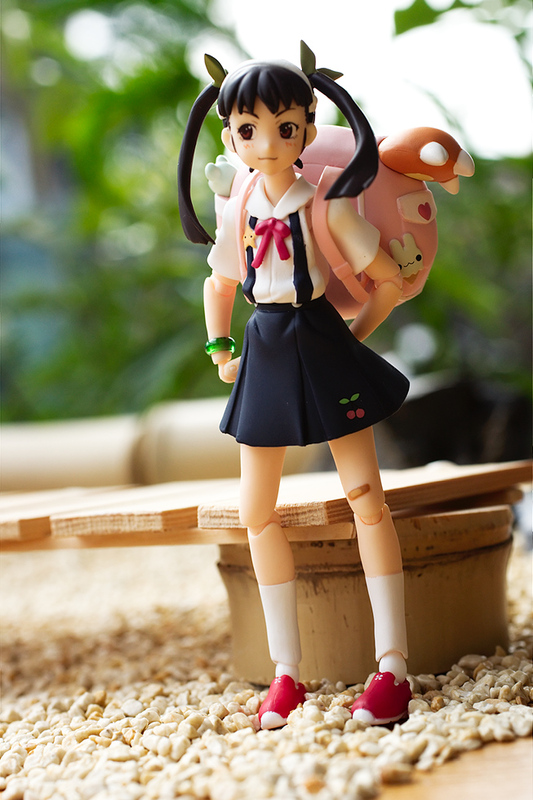 I aways liked her funny, lively and cute character in this anime and I already bought a scaled figure of her. 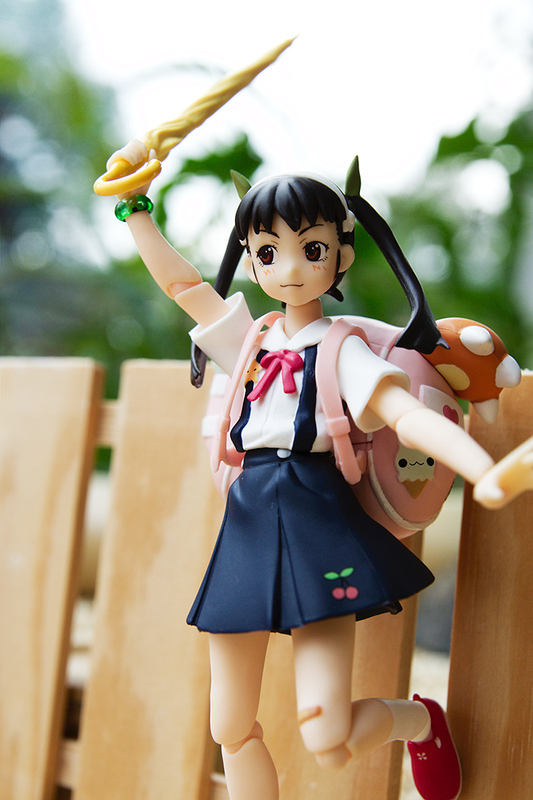 Hachikuji Mayoi has many accessoires in her box, aside from the obligatory three faces, the set of hands and the figma base, there are also parts included like the backpack, an closed umbrella, an open umbrella and a second lower body called “shiftbody” which puts her into a cower pose. 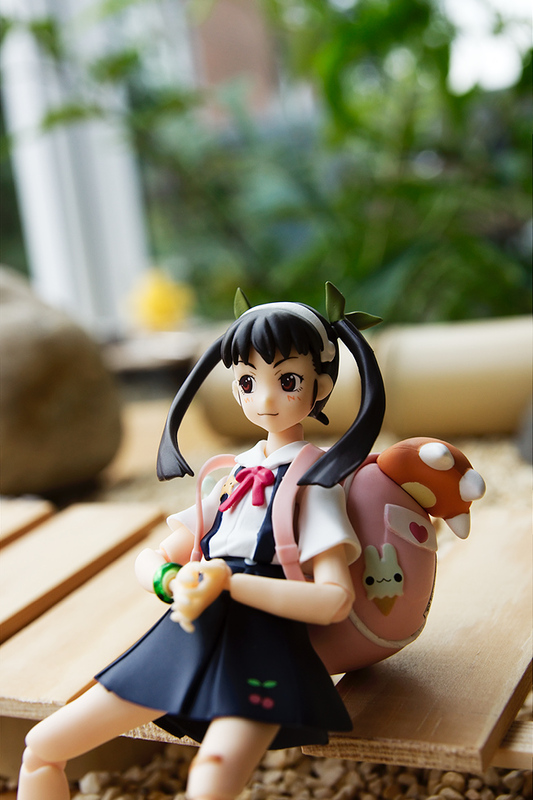 Hachikuji wears her normal school uniform, sculpting and painting on it are very accurate, it resembles the look from the anime very well, especially the friendly face with the open eyes is great. 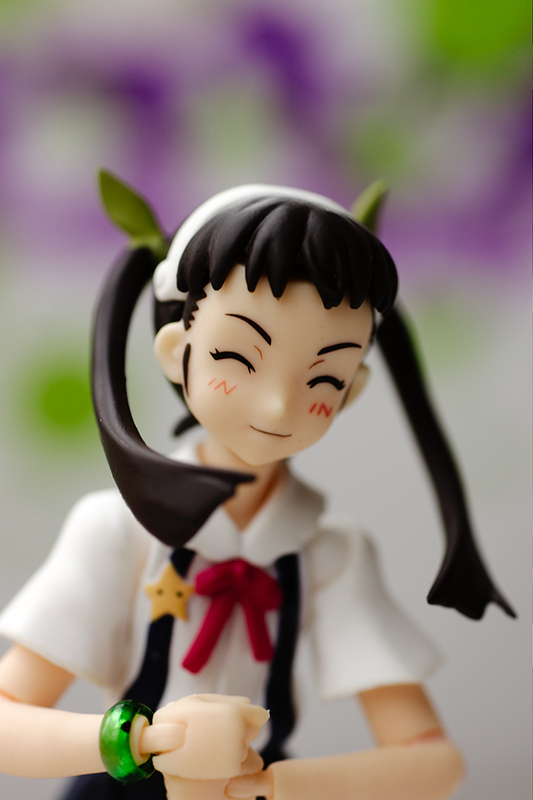 Honestly, the face with it’s deep eyes, the lovely blushmarks as well the typical for Max Factory black lined mouth give Hachikuji Mayoi a nicely detailed and lively appearance. 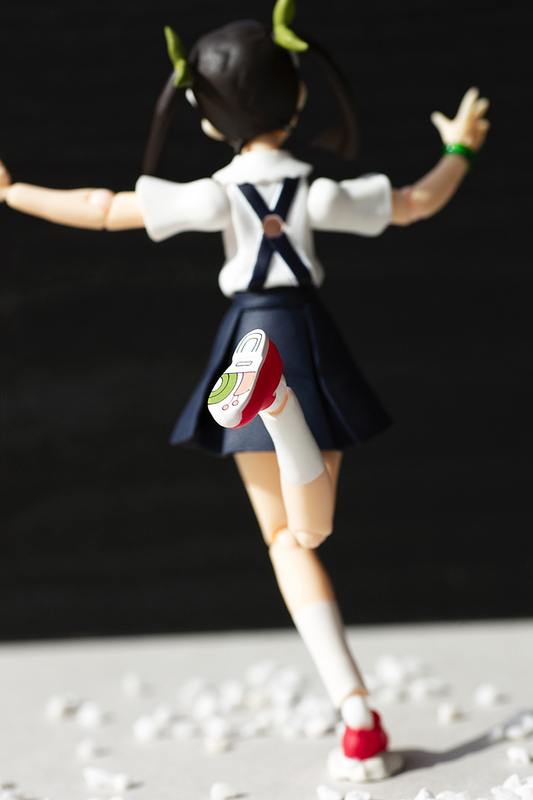 Also other details like the hairband, the green ribbons, the bracelet, the cherry on her skirt, the band aid and even the snail pattern under her shoes are accurately based on her character. 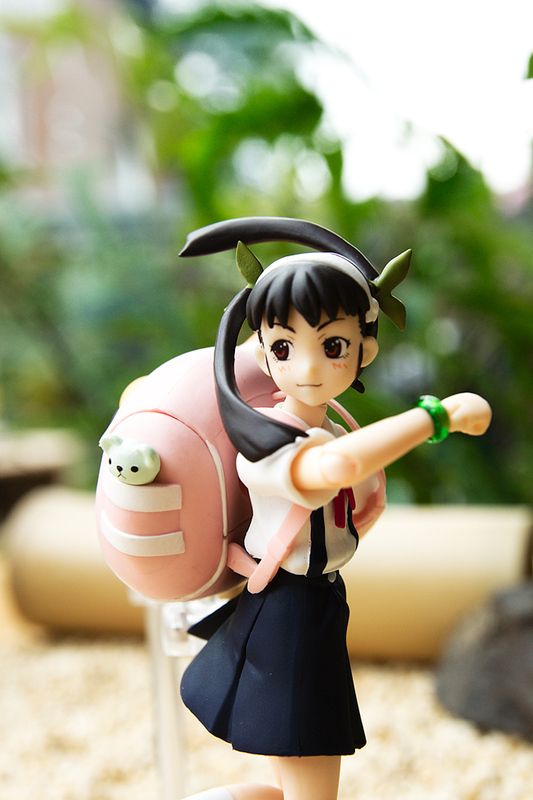 The backpack also has all the details we know from the show, there a small straps where Hachikuji can put her arms through, at the inside is a moveable peg who fits into the back of the figma. The posing ability is very good, the joints stay in place after being put into position. Because of the small size, the joints don’t stick out too much. 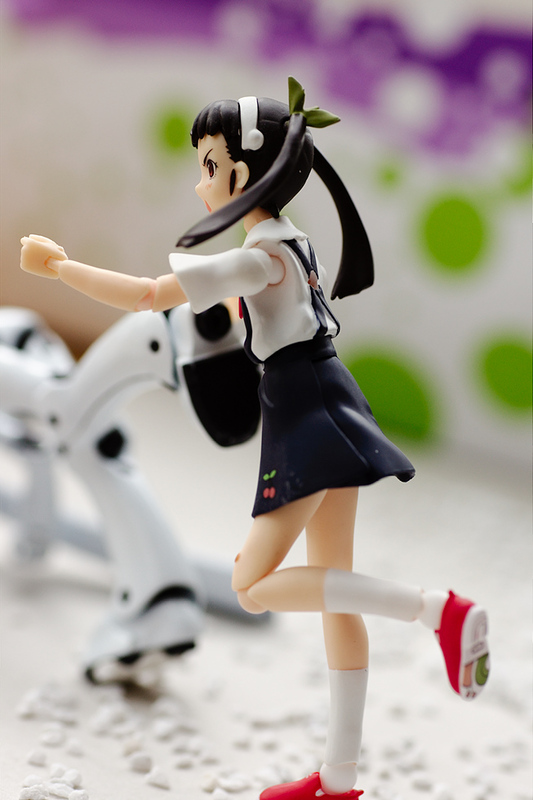 A funny part are the ball jointed twintails^^. Everything is very tiny, I was a bit scared of breaking something, please handle her with care. 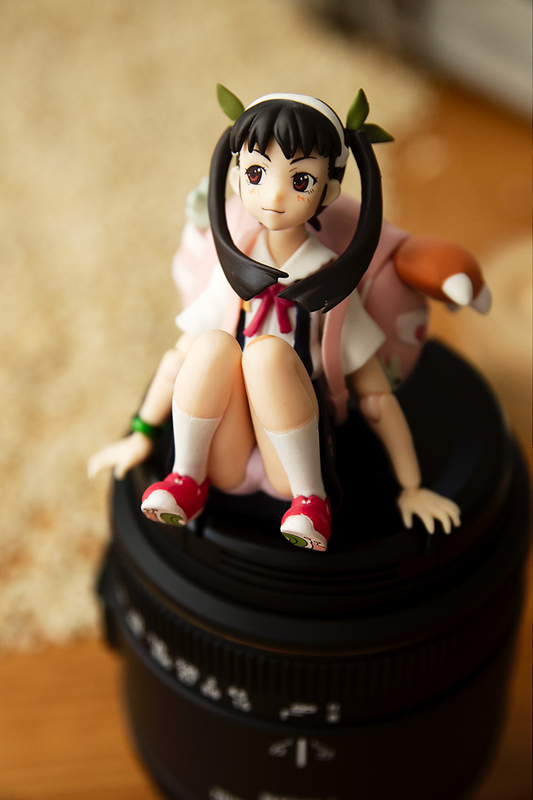 You can display Hachikuji with or without the backpack, it is quite heavy and so you need to use the base, or the figma will fall over. There are two holes where the figma base can be put into. Not so fast! I’ll teach you a lesson! 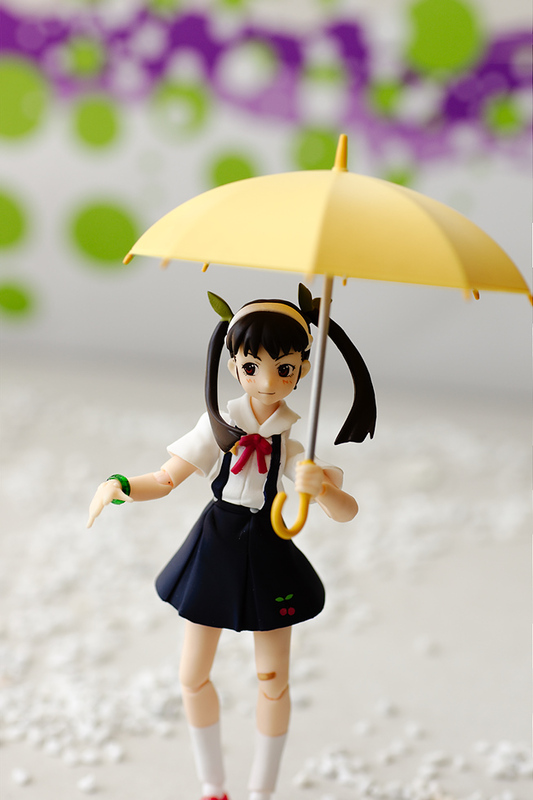 You can have a lot of fun with the Hachikuji Mayoi figma, the different kinds of accessoires gives you a lot of stuff to play around with, the open umbrella for example is a beautiful item, it looks so adorable when she is holding it, you can also use it with other figmas like Shizuno Izumi. Max Factory delivered another great figma, in my eyes it’s one of the best ones :D. The level of detail at such a tiny 12cm figma are remarkable. 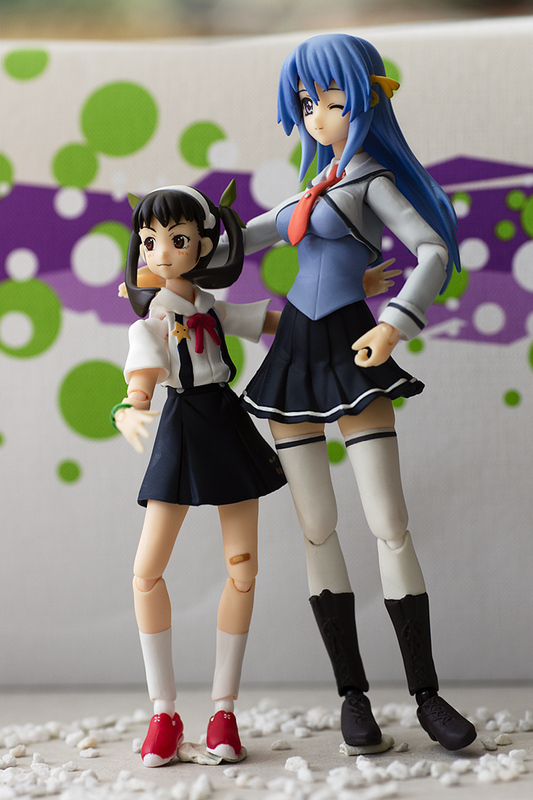 The posing works well like with most other figmas, but the small size increases the cuteness of this one. The included accessories will give you a lot of display possibilities, the umbrella and the “shiftbody” parts are my personal favorites. 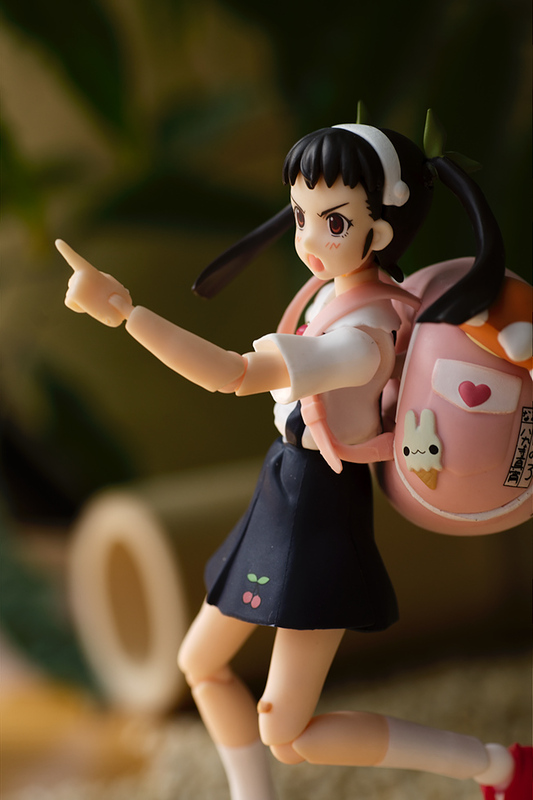 If you like figma and Hachikuji Mayoi you should get your copy, even if you are not into figma I would recommend to get her, you don’t have to play with her, just put her into a cute pose and let her be. 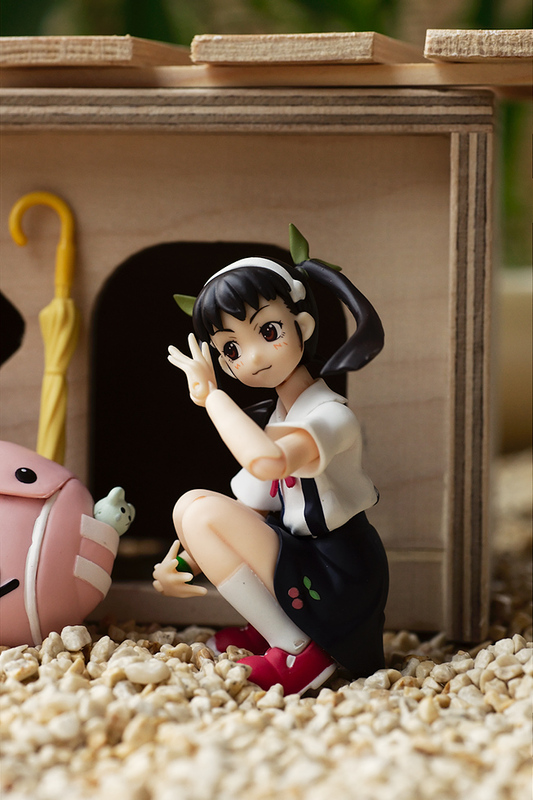 The only understandable reason not to buy her would be in case you dislike Hachikuji. thx for reading, this time it was shorter than usual, I hope you don’t mind. 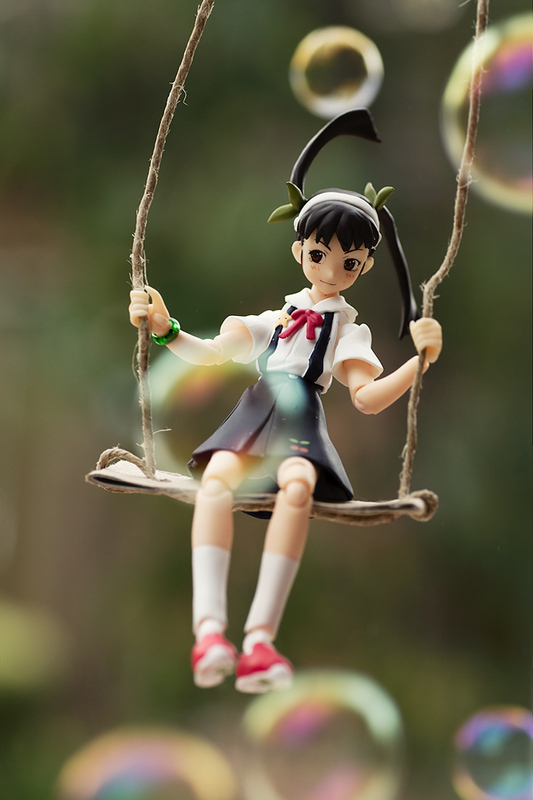 next time I will give you my impression about the shows of anime summer season 2011. Yeah, ahaha she’s been around for some time. It made me a bit curious why she was so popular recently. 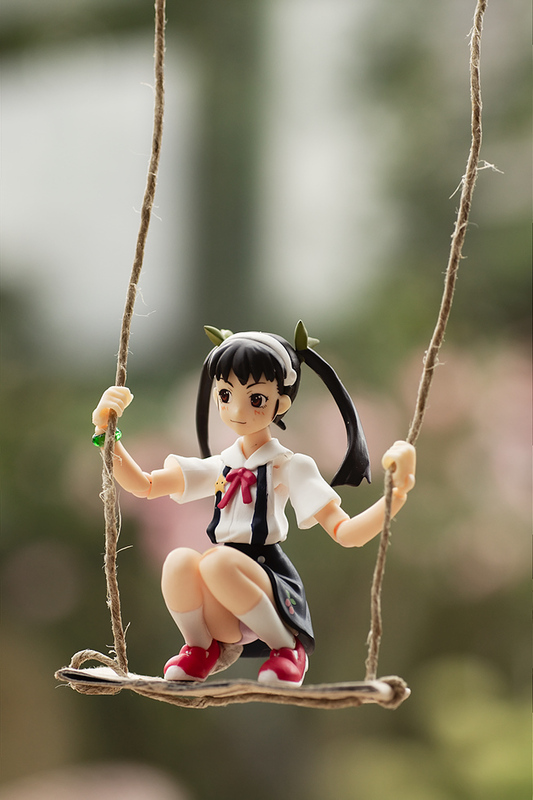 Such a great figma, gotta get my hands on this one myself, the fact that she can crouch down alone gives so many different photo possibilities! You impressed me with the creativity you used to make a slideshow of her bag getting stolen =) And I love your swing! What’s that “house in pic 008 and 009? Gotta show this post to my blog partner! ^^ Good job! 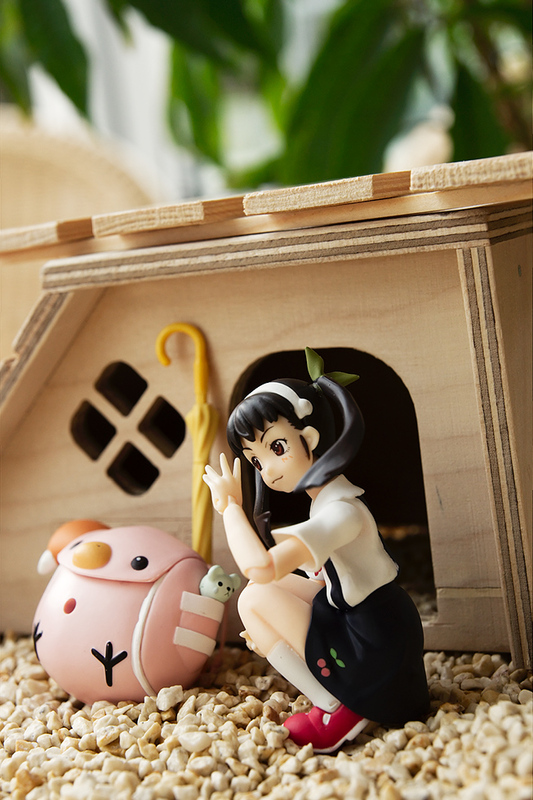 Its a house for small hamsters from a pet shop, the size was perfect for the small Mayoi. Your photos and posing are well done as usual. 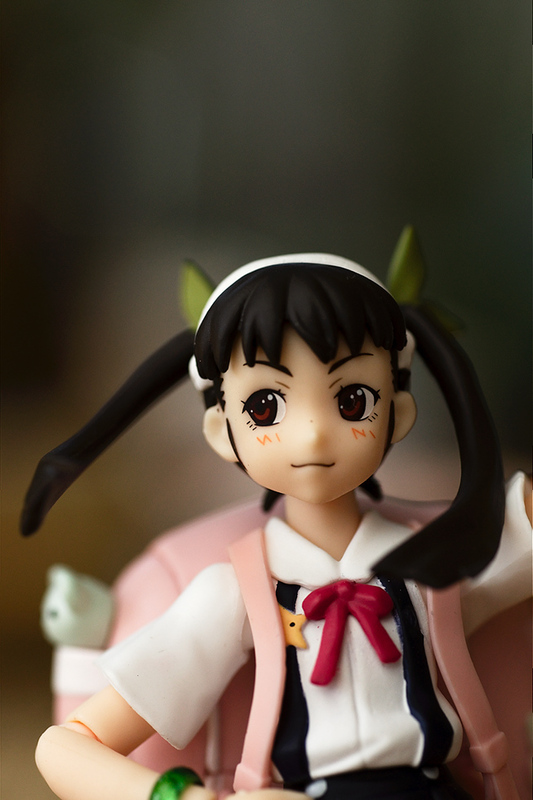 They did a great job with this figma, the faces have very good details. 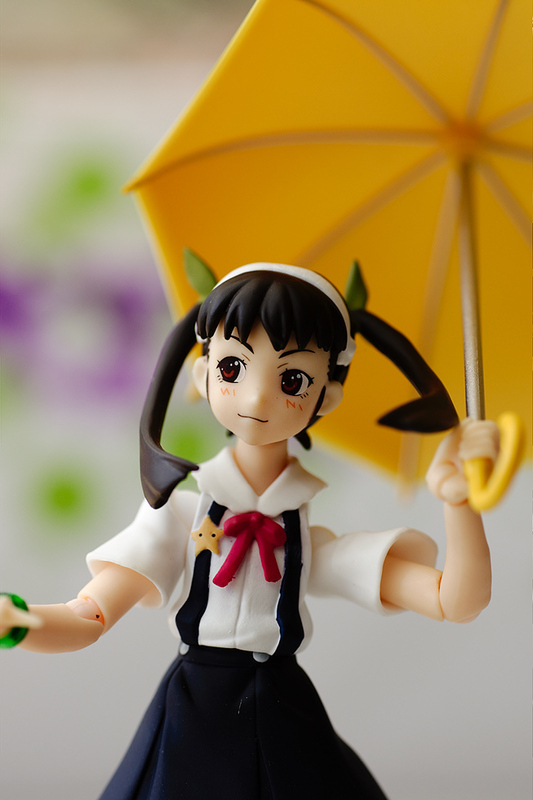 I only have one scale figure of Hachikuji, a figma of her and petite Nendoroids of Hanekawa, Senjougahara and Araragi. 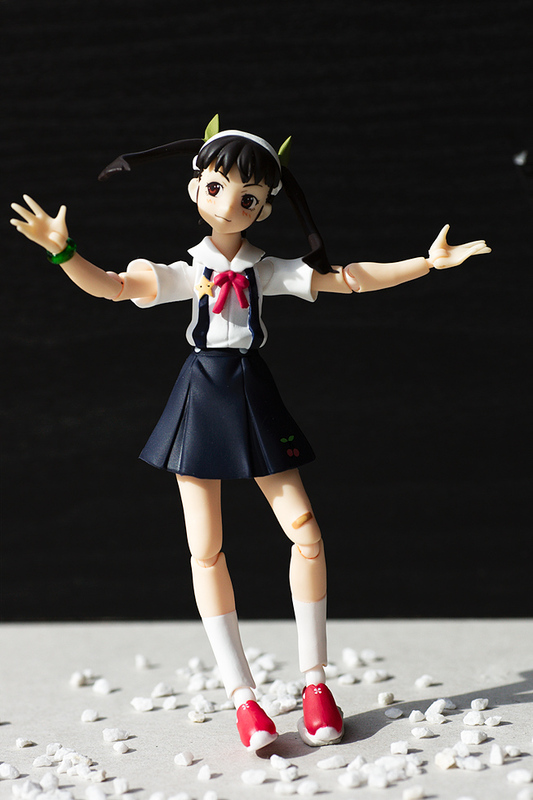 The other scale figures so far weren’t appealing enough for m3 to make me want to buy them, maybe Shinobu. Only 12 cm. That’s tiny! Is that the usual size for these figmas? That’s the usual scale for figmas, since this character is a child she’s aroun 3 or 4 cm smaller than older characters from the figma lineup.